Sloanbook: We're getting a temple! Fort Collins, Colorado is getting a temple!!! This was announced in the 181st annual General Conference a couple of weeks ago on March 26, 2011! My mom was in town and Kevin and I were meeting her for brunch a little after the morning session started so I heard the announcement in the bathroom as I was doing my makeup. I was like what the heck? Why are they talking about Fort Collins? Then I realized that it meant FORT COLLINS was getting a temple! I was kind of in shock because we have a temple one hour south in Denver. I had NEVER thought Fort Collins would be getting a temple. It just didn't make sense. I was definitely pumped (of course) but mainly surprised! I didn't realize there were so many members in Fort Collins. There is definately a lot around the Denver region (my family actually almost moved there when deciding where to move in CO) but in Fort Collins? I had a bunch of Mormon kids in high school and seminary but I didn't think it was like a TON. So I guess there are a ton of people in southern Wyoming who drive all the way to Denver and same with people in western Nebraska. Apparently there are 140,000 members in Colorado! This will the the 2nd temple in Colorado! So very exciting news! The day before we found out about the Fort Collins temple we found out that Kelsi got her Visa to Brazil! So that was a good weekend! Now I read the articles in the Coloradoan here and read all the hater comments haha. 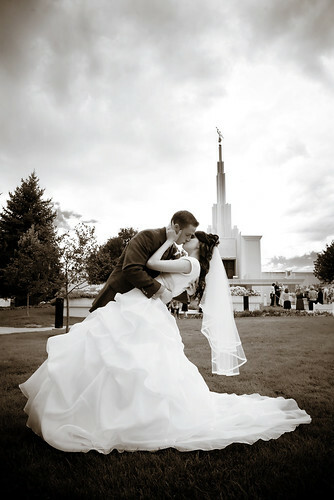 Like anywhere that gets a temple (unless its in Utah) there are usually a good amount that do not want the temple! They are complaining that it will increase traffic, the temple should be taxed, the temple may get in the way of the skyline and mountains, it won't blend in with the Fort Collins style (oh please), etc. etc...! Also, they complain they can't get in the temple...well do you ever try to get in mosques or synagogues in Fort Collins? Probably not...well would you really try to go in the temple after you even go in the open house? Gotta make sure I know all of the answers when I get there because where I get a job I'm sure I will meet people who when they find out I'm Mormon will ask me about it! It will definitely bring good missionary opportunities and I'm excited for it to be built!